Still under a non-compete from Maxon, Ed Kouri moved up to the San Francisco area and started Able Body Company in 1974 under his son and apprentice Matt’s name. As Able Body, Ed continued the same line of equipment he had at Bemars, continuing to refine and perfect it throughout the 70’s. 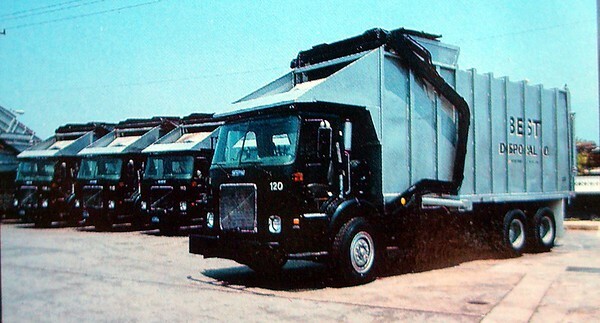 He started to make drop frame side loaders to compete with the popular Shu-Pak and began building dedicated recycling truck to accommodate the popular recycling movement of the early 80’s. 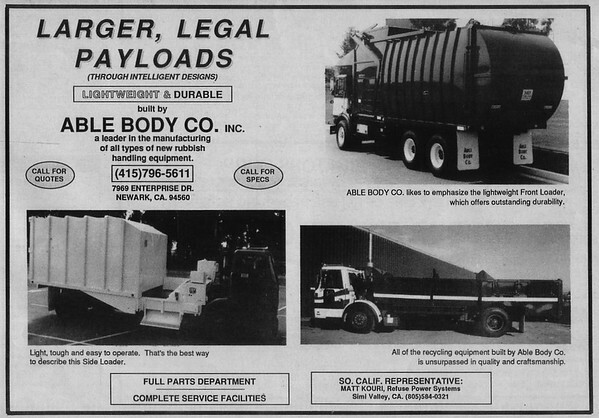 With many ties still to Southern California and selling quite a few trucks in that market, Ed started Able Body Sales and Service in Pico Rivera. Calling upon Rich Mellum, former Bemars General Manager to run the operation. 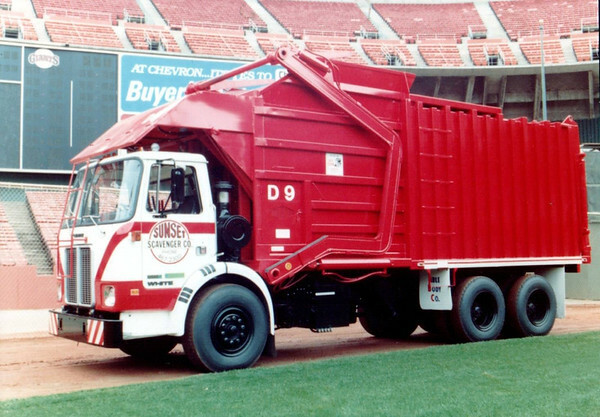 The initial concept was to have Rich sell and repair bodies sold in Southern California until he started building his own front and side load trucks. At this point he became a separate entity which caused some confusion for the customer and Able Body Company literature often had to state the distinction in their advertisement. The Kouri family continued to see success during the 1980’s, selling their bodies in every state west of the Rockies. Ed’s health started to decline during this period and his son’s Matt and Tony started running more of the day to day operation. The automated side load technology was still young and hadn’t caught its true fire yet with many markets still running manual residential collection. Tony saw the potential in this emerging market and in 1989 took a welder to the back of the shop and spent a few days creating an automated arm concept to test and field. A test arm was retrofitted onto a modified drop frame side loader and Oakland Scavenger agreed to route test the new arm. 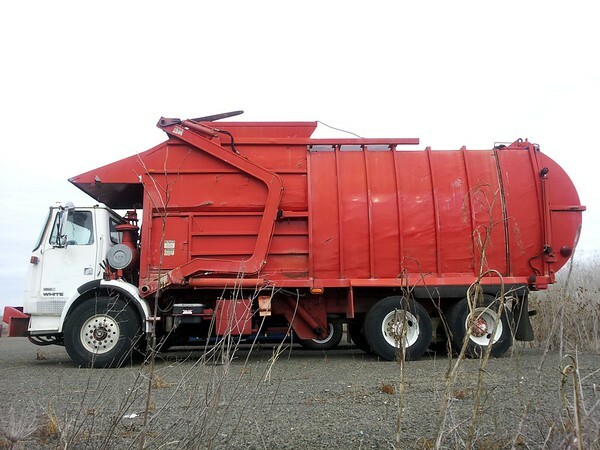 Tony recalls walking behind the truck collecting more trash spilled on the ground than what made it in the truck. However, before he could continue to perfect his design, the high operating costs of California and Union pressure forced them to close operations.